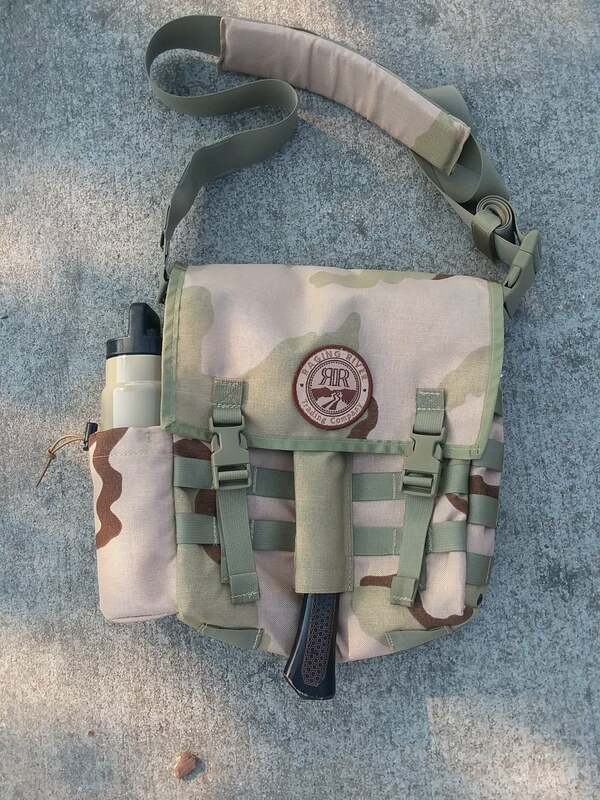 Here we are offering a Raging River Bushcraft Haversack Version 1 made from 1000D Nylon Cordura with a nylon liner by Raging River Trading Company. It is approximately 12"x 12”x 3" and has two internal pockets. The top is secured with a color matching side release buckles that securely keeps the bag closed and yet opens smoothly. Finished with MOLLE webbing on front and side panels for a really nice and unique look and feel. Also has a hatchet sleeve on the front panel for easy access. These are made to be used and last a lifetime. 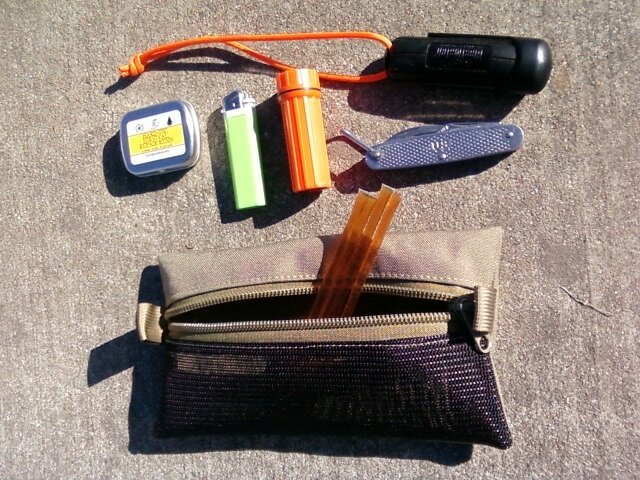 Inside the main compartment you will find two smaller pouches made to match the color of main compartment, and come standard with the Raging River Bushcraft Haversack. The first one is the 5x7-in zippered mesh pouch that can be used for snacks or trail food or what have you; and the second pouch is a tinder pouch for carrying your tinder and keeping it dry. Both fit easily into the main compartment. 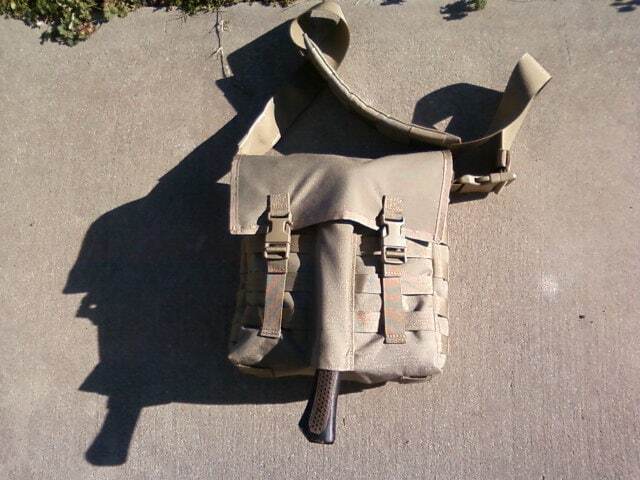 This haversack comes in Olive Drab, Khaki, Desert Camo, Royal Blue, Black, Woodland Camo, and Tan. These colors are our stock colors. We will custom make in other colors upon request. To order colors please just send a conversation with your name and color choice.